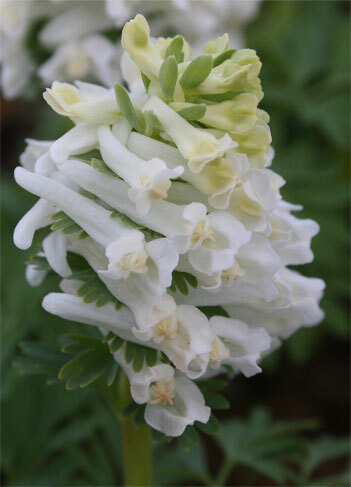 This Corydalis flowers has large racemes of pure white flowers over bright green finely dissected foliage. It flowers in about March and then disappears under ground quickly making it ideal for growing under later flowering plants. 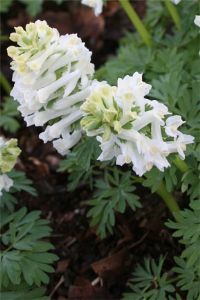 It will grow in any well drained soil, especially attractive at the edge of a woodland. 15cm tall. Plant 6cm deep.